Optimum file spec for Live News? In another thread Julie Edwards commented "If you are using Live News, Picture desks will not be happy with files over 5MB.. Most press photographers send files in that are between (just under) 1MB and 2MB.." This is something that I give regular thought to, what is the optimum file size for live news that will also possibly later sell as stock? A friend of mine who unfortunately passed away earlier this year used work shifts for Newsquest shooting sport. I know he used to upload quite small files, far smaller files than I do, and shoot jpeg, while I shoot 14 bit RAW. He had a brief based upon how his photo's would be used, we don't know what a potential clients precise use will be. I used to upload full size jpg's. Other photographers I know, when I check their uploads, they are in the 50 - 60 MB + open files range, and a quick sample of recent live news uploads noted the smallest being 24 MB, others 34 MB - 60MB +. Moments ago I did an interesting comparison of my D750 open file sizes against the actual file sizes as below. 32.3 MB 6016 69.1 MB 12 17.5 MB 20"
32.3 MB 4000 30.6 MB 12 7.9 MB 13.3"
32.3 MB 3000 17.2 MB 12 4.7 MB 10"
32.3 MB 2850 15.5 MB 12 4.2 MB 9.5"
32.3 MB 2850 15.5 MB 10 1.6 MB 9.5"
I now reduce my uploads to 4000 pixels longest side, and they upload lots faster via my phone hot spot. They also have the ability to be printed a reasonable size at 300 dpi, although overkill for the web and I guess newsprint. I maintain jpeg quality 12 as Alamy asks for “Images of the highest quality possible”. I suspect there is very little visible difference in quality between quality 10 and 12, but 10 certainly reduces the actual file size. What file sizes and jpeg quality do others uploading to live news use? Do full size jpg's have any advantage at all, as it's a common occurrence? Keith and Julie, many thanks for your info. I also send about 3000x2000 and JPEG quality 10 or 11 and upload as soon as possible. Any news pictures I get that will make good stock, I redo later, spending more time on the post-production to get better quality images - and larger files. I then upload them and delete the identical 'news' versions when they drop off the live news feed. Only if the original news pics aren't sharp enough to get through QC do I leave them - after carefully re-captioning and keywording. I've sold a lot of portraits of politicians and pics of police like this that might not have sold in their original news versions. 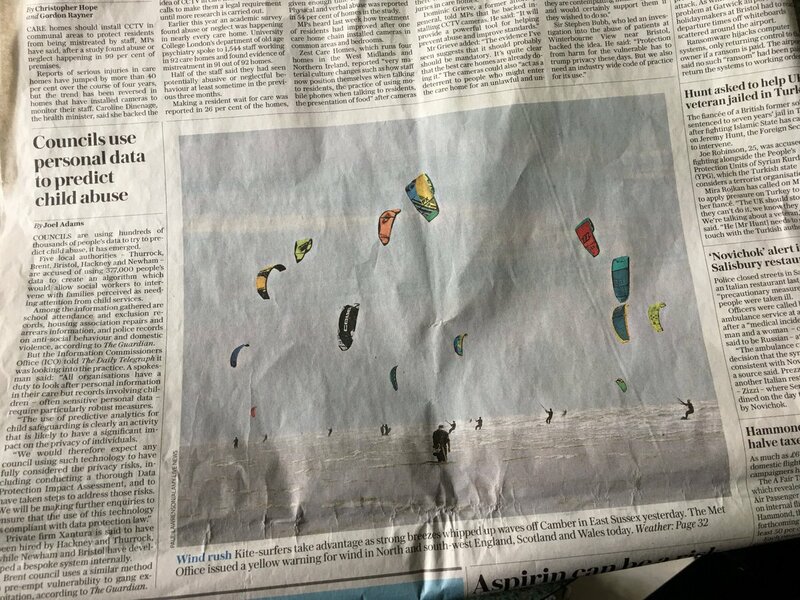 A shot from Saturday night , 3000x2000 px, running in the Times today.. I had never even considered this - if I am doing live news (I was in Salisbury last night) I have just done the minimum post-processing (straighten sharpen colour) and got the images off so they will be huge as I rarely crop much on news stuff. Because I shoot with D800's 99% of the time I've been sizing my JPEG's at 4200 X.
I don't like the idea of having to go back to redo an image. So .. is the consensus that if an image sent to live news is full size ( eg > 5000px ) then some news desks will not use it based on the size rather than the content ? I regularly send in live news images which don't sell as news, but sell from stock down the line. Also I get live news images taken up reasonably regularly ( but not as much as others here ). As Keith and Julie have said: 3000 px longest side is standard. I rarely submit over 3600/4000 px longest side when shooting news. I also save at setting 10 in Photoshop. Don't Alamy allow customers to download a file smaller than the original? Seems rather silly to have to upload the same image twice, once for news and another for stock. If picture desks have a preference then I would have thought that the software that Alamy uses to send images to picture desks could, and would, be configured to resize the images (if too large) automatically as they are sent. The software (PhotoMechanic) I use to upload or send images allows me to do that. In which case I would submit to Alamy at my preferred size (probably for stock). However if I was sending to a picture desk or to a purely news agency, especially by email, I would size to 3000px on the longest side and use 10 quality as several people have suggested. I generally send Alamy Live News pix at the best the camera can manage - simply because the images used are often heavily cropped by the user. So dimensions are 4288 x 2848 px. And Photoshop jpeg at 11 quality. I can't imagine a picture desk saying "oooh that's too big a file to use" if they like the image - that doesn't make sense. The jpegs generated by my method are not too big really in this day and age - between 4Mb and 7Mb normally. In any case if the Live News image is used just on the web - often the case with 'Pictures of the Day' - then the image size requirements are considerably less than for print so the picture desk have to resize anyway. Not sure if that is the consensus but I believe that to be bollox really. In fact it is bollox according to my contacts on picture desks. The images have to be resized in order to fit the space where they are going to be in print or on the web. They may well be cropped too. The picture desk people are too busy to be saying 'oh no! That image is 400 pixels too big on one side for us to manage". Ha ha the idea is laughable IMO. The resizing is just to speed the speed of sending, not because the picture desk can't handle bigger files, as manWay suggested. Its not they cant cope with it... but have a think, they recive very many of thousands of images per day... when a 1MB image is more than high enough quality for thier needs, are they really going to thank you for sending in 5-6MB files? Out of intrest - I remembered this spec..
Downsize photos on their longest side to 3500 pixels, when necessary. Can anyone suggest how to specify pixel size using the Alamy Bridge software please? It's very easy and can be done as a batch. Unfortunately, I'm away from my computer now. If no-one jumps in, I'll let you know later tonight. For anyone on Windows, Irfanview is a cracking little viewer/batch processor. In thumbrnail mode you can select the pix you want to resize, specify output dimensions, rename, and output the lot in seconds. Views RAW as well as just about any other format you care to mention, though NOT a RAW processor per se. (It'll save into any other format, but just extracts the inbuilt JPEG from the RAW file). You need to download all plugins as well as the software, easy to learn. You mean Adobe Bridge, don't you? If it's Adobe Bridge select the JPEGs you want to resize. Go to "Tools" and select "Photoshop". Then select "Image Processor". Here you can set the sizes you want eg longest sides in pixels and the compression rate. You can do horizontal and vertical resizing at the same time. Click on "Run" and Bridge will resize your photos and put them either in a chosen location or Bridge will create a new folder for those JPEGs. Hi Vpics, thank you for taking the time to reply to my question. But I really did mean the Alamy Bridge created & supported by Jim Kier. It has an export function to upload images to Alamy, but I don't see a way of downsizing other than via an "image quality" slider, which is somewhat imprecise. I could of course save the image in LR as a jpeg of the required size and then upload it to Alamy, but that rather negates the purpose of the software and means that I need to store a jpeg, which I don't normally do.